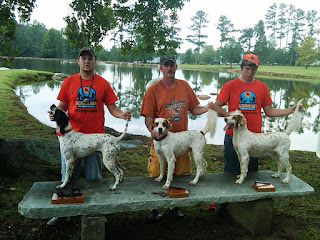 A Bird Hunter's Thoughts: Corey Perdue wins the Ironman 2009!! Here are the winners for this year's prestigious Ironman 2009 competition! Corey Perdue, Butch Stansell, and Zack Kirby. These stern-faced young men are the youngest winners in the history of the event. It was a great time in Sparta, GA.